1. 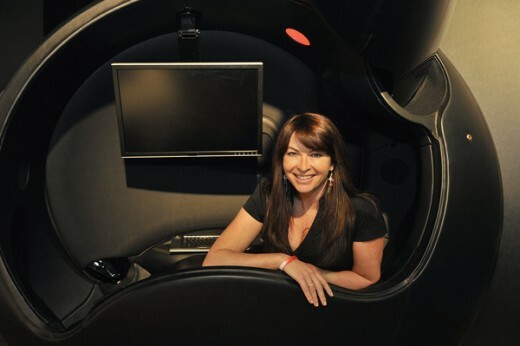 The Ovei Entertainment Pod. Starting off with quite a lofty product, we have the Ovei. Dreamed up by Lee McCormack and engineered by McLaren Applied Technologies (yes the Formula One car makers.) The Ovei is a self contained pod that wraps its user in a cocoon. The door slides down into place behind you isolating yourself from the outside world. With plush leather seating and comfort, you are encompassed in ubiquitous 5.1 surround sound. 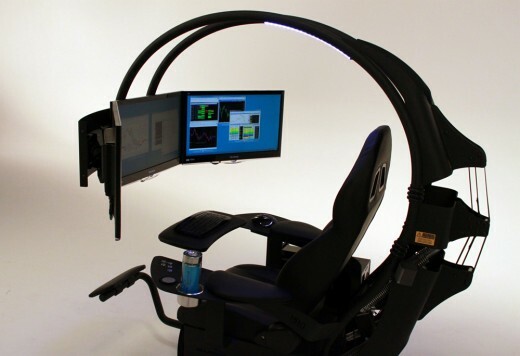 As you sit, a swiveling monitor slides before your eyes and a touch pad presents itself for you. The ovei even sports its own climate control. You can customize the hardware inside as well as the designs on the outer shell. This product doesn't come cheap at $100,000, but it's the perfect getaway for those with a lot of money to burn. If you prefer a more open design, developers at MWE Lab have you covered. The Emperor 200 features a BOSE Companion Audio system, RECARO seats, climate control built into the electric seats, a touch screen control center, custom lighting, and three lcd panels to immerse yourself into your media. At the hefty price tag of $45,000 it once again caters to a wealthy demographic. They do have an Emperor 1510 version for $5,950 if you like the frame of it. I see this time they didn't forget the cup holders. Like any other gamer I've gone through my share of headphones. From Logitech's uncomfortable head grips to Razer's gimmicky features and tinny sound. Audio fidelity is extremely important to me. If you buy one thing on this page treat yourself to these. You wont regret it. Headphones should offer a full range of quality sound. Sennheiser is a quality company that doesn't mess around. I'm a bit of an audiophile and an ex-music producer which was what led me to pony up for one of Sennheiser's earlier products (the HD 555s). That didn't have an inline mic so when I had to get a gaming headset I was already a bit spoiled. 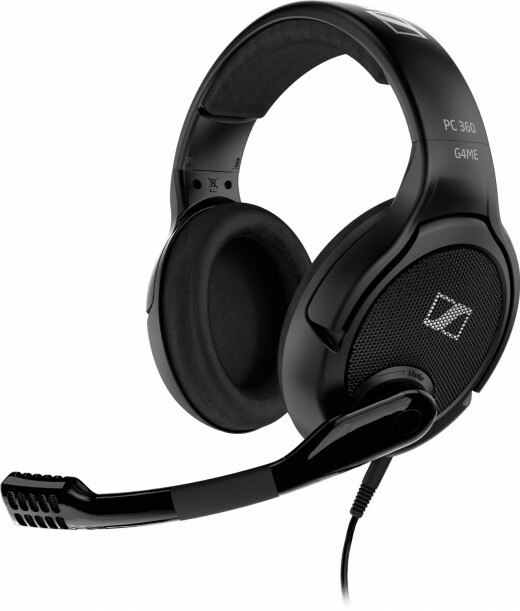 The Sennheiser PC 360 G4ME headset not only has a great noise canceling mic (auto mutes when you swivel it into the up position) but the sound quality blew my 555s away. The plush earpads and cushioned headband make these incredibly comfortable too. I can wear them all day without problem. The ears are of open acoustic design so you will pick up some outside sound, but it wont make your ears sweat. There even is volume control integrated on the outside of the ear cup. It uses two 3.5 mm connectors (mic and audio). 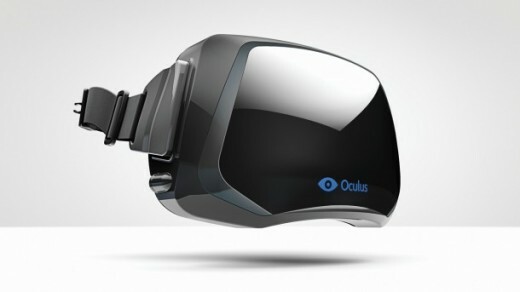 The Oculus Rift promises to bring a virtual reality headset at a low price tag. Everyday that reality gets closer. In recent news (6/30/13), Valve added rift support into its SDK which lets modders experience virtual reality in their games assuming they are lucky enough to have a headset. You can read more about the rift below. When it releases to consumers it will be the must-have accessory of the decade. What would a gaming accessory list be without a joystick? 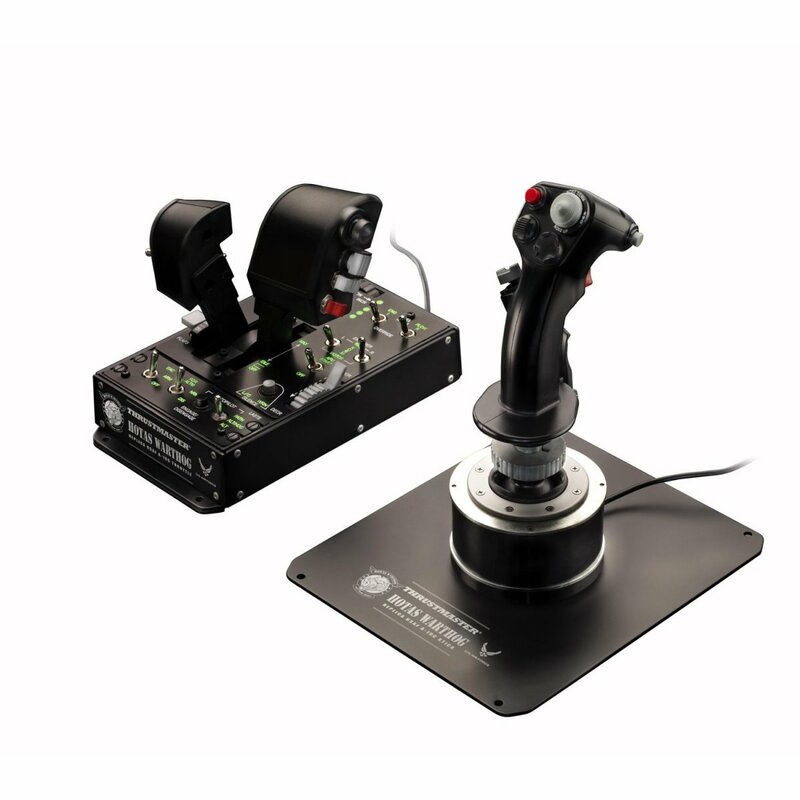 Thrustmaster goes above and beyond the call to replicate the control system found in the A-10C Warthog. 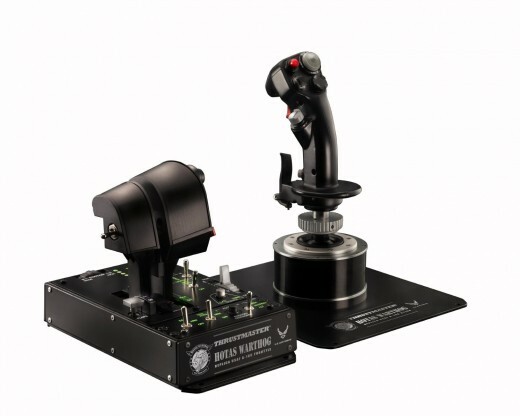 55 programmable action buttons and 2 four-direction hat switches offers a vast array of simulation possibilities for your favorite flight sim. The joystick and dual throttle handle are both metal as are their bases. The joystick uses incredible 16 bit precision and the triggers have the same resistance found on a real airplane. The system also comes with 5 programmable LED lights for low light scenarios. 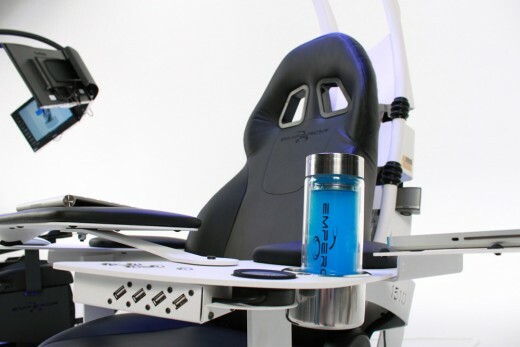 If you are a racing fan perhaps it's time to drop the controller and get yourself a racing wheel. 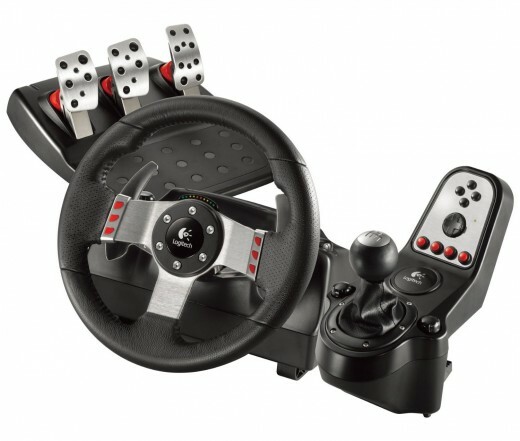 Logitech's G27 Racing Wheel is well made with real leather and stainless steel on the components. The wheel has 900 degrees of spin just like a real car. 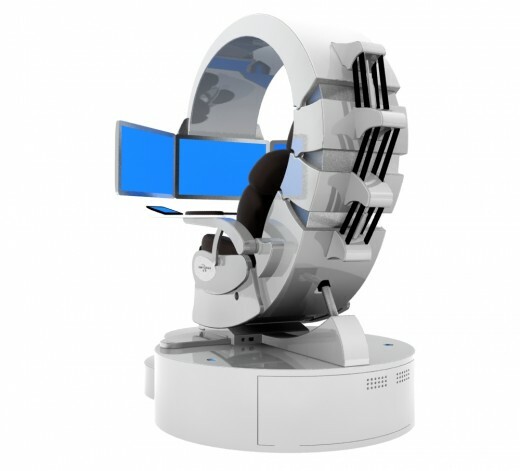 The wheel also delivers force feedback to its user which can add to the realism. Just missing an airbag! The steel paddle shifters have six gear semi-automatic transmission. Gas, brake, and clutch pedals are also included. In addition to the PC, this racing hardware is compatible with the playstation 3. If you want a great room solution for audio, setting up a receiver isn't as hard as you think. You may already have one and aren't using it with your computer. Check to see if your motherboard has an Optical or S/PDIF out. If it does you can run a cable to your receiver and play movie, game, or music audio directly to your sound system. Onkyo is the brand I trust when I look for a receiver with value in mind. The TX-NR525 is currently priced at $399. If you want wireless support on the receiver you can get it for a $25 adapter. A receiver will hook up all your devices to your sound system. If you ever have questions about setting up audio equipment, www.avsforum.com is a great website with plenty of information on equipment and recommendations. Mechanical keyboards alleviate fatigue that can be generated in your fingers from typical rubber domed keys. You don't have to press as hard, nor do you have to push the keys all the way down. Mechanical keyboards also tend to be of higher quality. The switches (what the keys on a keyboard rest upon) come in a variety of types. Cherry MX Red are best for regular typing and FPS for strafing. Cherry MX Blue are one of the most common if you like audible feedback. Cherry MX Brown is the best RTS switch type. Also new mechanical keyboard users are recommended to start here. Cherry MX Black and Green are recommended for racing type games and fps games for the return-force of the keys. Lengthy amounts of typing isn't recommended because of the weight which might cause fatigue. The CM Storm Quickfire keyboards come in each type. If you prefer keyboards with backlit keys they have those as well. Normally you will be using a mouse and keyboard for most of your PC gaming. Certain games on the other hand play better with a controller such as sports titles, console ports, and indie games such as the indie classic Bastion and Castle Crashers. A mouse pad may not seem like a big deal to improve your experience. But for the money it is easily one of the best improvements you can make. For under $10 you can improve your mouse tracking, glide, and grip to your desk surface. It is the best selling mouse pad on Amazon and I use it myself. When mouse accuracy matters make sure you have the basics. What was your favorite accessory? Gaming accessories continue to shape how we experience entertainment. The Best Gaming Mice of 2013. If you thought I left out a cool gaming accessory for PC let me know in the comments below! I'd love to have some of these sitting on my desk in front of my computer, if only! Thanks for checking it out DDE! Top Ten Accessories to Enhance Your Gaming Experience. this will certainly work well for a gamer, and you have displayed so many accessories to keep a gamer comfortable at his game, thought the ovei Pod looks great. And Thanks Jabelufiroz for stopping by! Glad you enjoyed it. Sorry it took so long to reply. I learned something new didn't know you could buy pods for gaming, not cheap. Voted up and shared. 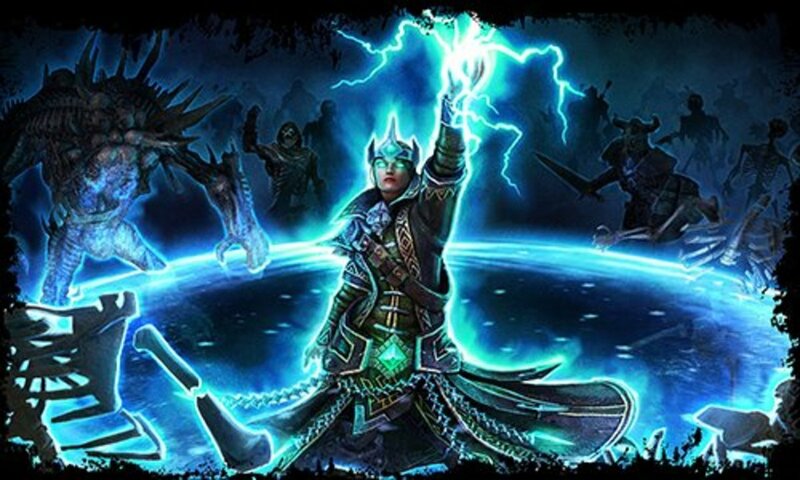 Excellent tips to Enhance Your Gaming Experience. Voted up.